But it’s okay. My promise to you is that once you’re done with this article, you’ll know the answer to both of these questions. GitHub describes itself as a ‘development platform’ – a description that is as accurate as it is unhelpful. The best way to think about GitHub is as a Google Docs for software developers. It’s a place where they can upload their work then share, discuss and collaborate with others. In December 2017, GitHub published “The State of the Octoverse” which reported that the platform had 24 million users in 200 countries working on 67 million projects. GitHub’s pricing model is clever. As a lone software developer, it’s free to use. Do you want to keep your work private (like a company might)? That’s $7 per month, thanks. You’re a company whose entire development team have adopted GitHub? That will be $9 per month, per user. All these monthly subscriptions add up, too. Just ten months ago, GitHub founder and former CEO Chris Wanstrath reported annual recurring revenue (ARR) of $200M. Now grab a pen and a napkin and let’s do some math. At a valuation of $7.5 billion, Microsoft paid 37.5x revenue. Steep. But look behind the wheel and you’ll see those Octoverse numbers driving the price tag. $7.5 billion divided by 25 million users is $300 per user. Now hold that thought. You don’t need to read too far between the lines, folks. You buy GitHub, you buy the global developer community. You buy the developer community, you win the business of those who employ them. 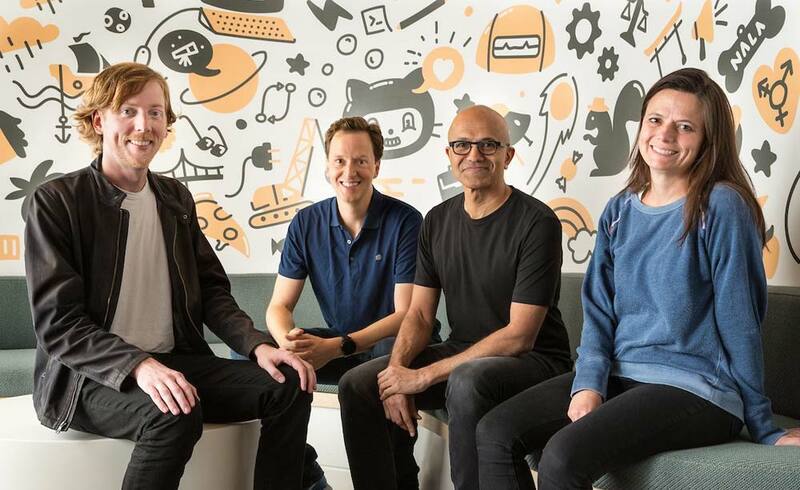 It’s not the $200M ARR Microsoft is after, it’s the opportunity to more deeply engrain developers with Microsoft’s other products services, like Windows and it’s cloud platform Azure. We’ve seen this play before. Remember Microsoft’s acquisition of Skype? What about Amazon’s interest in Slack last year? According to Bloomberg, GitHub lost $66M over 9 months in 2016 and the company has been without a CEO since Chris Wanstrath stepped down in August 2017. Needless to say, the company needs resources and leadership if it’s to stay ahead of its only real competitor, Atlassian’s BitBucket. Who else wanted to buy GitHub? 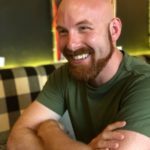 It wasn’t only Microsoft who wanted a piece of the GitHub pie. Now that you understand the mechanics, you might also understand why. But there’s a little more to it. Let’s take a look at the bigger picture. No, not at the original Da Vinci on your wall. Look back here, I’m speaking figuratively. The operating systems on those devices. Ownership of GitHub doesn’t offer a huge advantage on the first battlefield (devices), but it’s an incredibly powerful weapon on the other two – particularly as computing moves further to the cloud. CNBC reports that Google was also in discussion with GitHub about an acquisition. No surprises here. With Pixel, Android and Cloud Platform, Google is a fierce competitor on all three battlefields. It too would want GitHub for all the same reasons as Microsoft. Australian founded Atlassian is the creator of BitBucket. With approximately 5M users (as of September 2016), BitBucket is the only real competitor product to GitHub which might explain their interest in the company. Unlike Google or Microsoft however, Atlassian doesn’t seem to be fighting on any of the three battlefields. Instead, Atlassian’s interests are in owning our business processes with complementary tools such as Jira (Project Management and Service Desk), Stride (Communication) and Confluence (Documentation). The absence of interest from Amazon is perhaps the most surprising fact of all. As of April this year, Amazon Web Services (AWS) has a 33% share of the cloud infrastructure market. This is more than twice the market share of Microsoft (12%) and Google (8%). If we consider that GitHub and AWS are the largest players in their respective spaces, it follows that of the 67 million GitHub projects that make it to the cloud, most of them will end up on AWS. Perhaps this is another factor at the wheel driving that price tag?